The atmospheres lowest layer is 6ft tall. 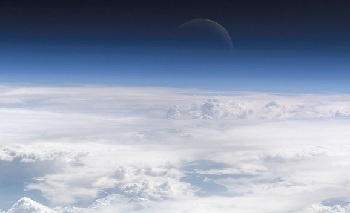 We live in the Troposphere and tt contains almost 75% of the atmosphere. Most of the cloads are located in Stratosphere. The mixture of gases in the atmosphere has taken over 4.5 billion years to evolve.